Which is best: hardware, software or services? 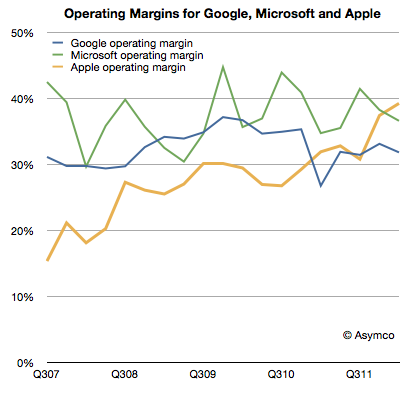 Apple’s recent margins are nothing short of spectacular. It’s hard to convey just how remarkable 47% gross margin and 39% operating margins are. For a company that sells hardware these are simply unheard-of numbers. 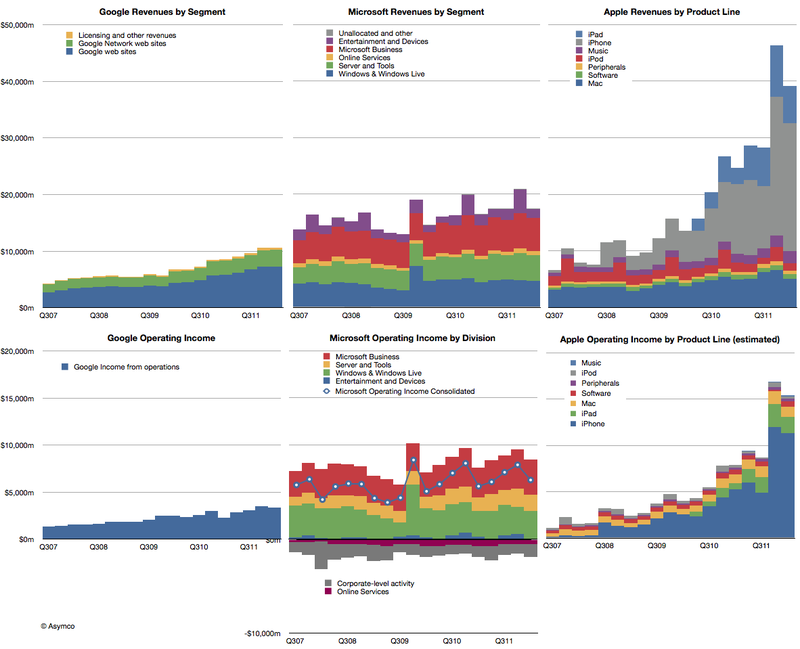 The best way I can illustrate this is by comparing Apple’s operating margins with those of two other platform-based companies, Google and Microsoft. Microsoft invented the software-as-a-business model and, as software is easily reproduced, their margins are phenomenal. 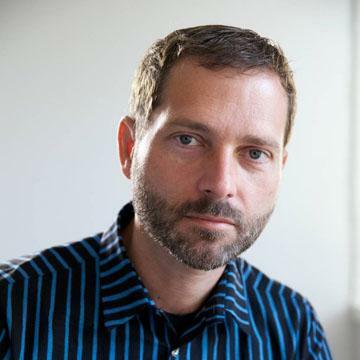 The gross margins are typically in the 80% range for software. Overall, the company had higher R&D and SG&A expenses so their operating margins are a more modest 37% on average. However, Apple managed to exceed this value even though it has the disadvantage of actually having to build things made of atoms. Google also has led a charmed life free of inventory and factories. Its operating margins have been however hurt by investments needed to sustain the infrastructure for indexing the internet. That means that their margins have hovered around 33%. As the chart above shows, Apple has been creeping up on both these benchmark companies with exceptional operational leverage and, as of this last quarter, overtaken them. The reason Apple is able to do this is that its iOS businesses are extremely profitable and, as those businesses grow in absolute terms and relative to its other businesses, the overall margins are reaching into the stratosphere. The impact of iOS on Apple is shown in the right-most two charts below. The difference in growth relative to these other great companies makes Apple all the more impressive. But the temptation is to compare the “core” business models and ask which is best: hardware, software or internet services. It would seem that hardware is winning, suddenly getting the best margin and best growth–a dramatic reversal with prior technology business dogma. However, it would be a mis-reading of what allows Apple to succeed. Apple is the most valuable company in technology (and indeed in the world) because it integrates hardware, software and services. It’s the first, and only, company to do all these three well in service of jobs that the vast majority of consumers want done. ‹ Previous Post What did I get right and wrong about the first quarter?